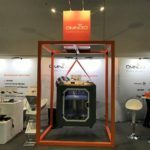 The breakthrough could lead to the manufacturing of high-performance and environmentally friendly natural fibre composites that could replace their synthetic counterparts in major manufacturing areas, such as the automotive industry, ship building, durable wind turbine blades and low-cost housing. It could also boost the farming economies of countries such as Bangladesh, India, and China – where the jute material is mainly produced – the researchers from The University of Manchester claim. This is an example of judicious combination of low-value, carbon-neutral commodity fibres with an extremely small volume fraction of high-value graphene in order to create a material system that could replace energy-intensive carbon and glass fibres in a number of light-weight structural applications. The University is home to the National Graphene Institute and the Graphene Engineering Innovation Centre which provide an unrivalled critical mass of graphene expertise. The two facilities demonstrate Manchester’s position as a globally leading knowledge-base in graphene research and commercialisation. 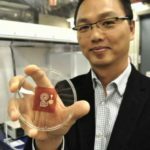 Un gruppo di ricerca della Simon Fraser University, insieme a studiosi svizzeri, hanno escogitato una tecnica innovativa di goffratura per produrre circuiti ricavati dal legno e prodotti su materiale cellulosico realizzato tramite stampanti 3D. 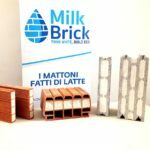 I futuri circuiti elettronici saranno sostenibili e biodegradabili…. 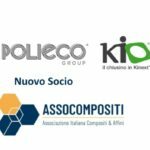 POLIECO GROUP è leader in Europa nella produzione e commercializzazione di tubi corrugati a doppia parete in polietilene ad alta densità. 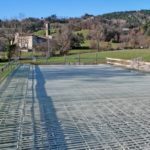 Alla produzione di cavidotti corrugati in polietilene per reti elettriche e telefoniche, prima azienda in Italia nel 1992, si è affiancata la produzione di tubi corrugati per reti fognarie non in pressione a partire dal 1996….